We have been doing our homework this summer in the UTV area. 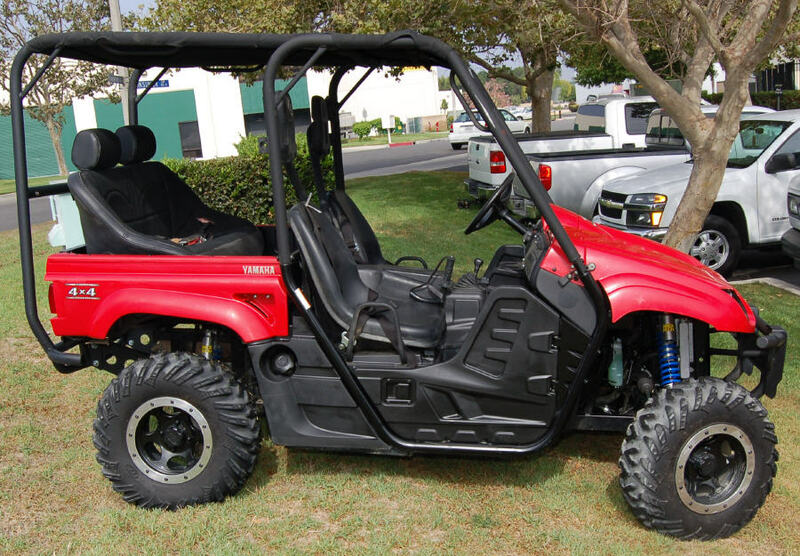 The second project that made sense was the TERYX. 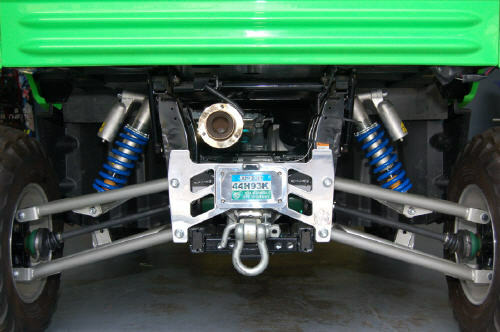 There are going to be two suspension options available for it. The first, RT Gold Valve Conversion Kit. The Gold Valve Shock Conversion transforms your stock shocks into high performance custom suspension components. The process includes a complete rebuild, a Gold Valve setup for your riding, and spring replacement (if required). Optional upgrades include,Hi-Low Speed Compression Adjustable Remote Reservoir, and Hard Anodizing where applicable. When you receive your shocks back, bolt them on and ride. It's that simple. 100% Customer Satisfaction Guaranteed. We take your stock shocks and disassembly it completely, inspect all the components for wear. Then replace oil and dust seals, bottom out bumper, o-rings and any other worn parts.. If the shock shaft is damaged by wear, rust or pitting we can rechrome it. At the heart of the Conversion is the Shock Gold Valve. 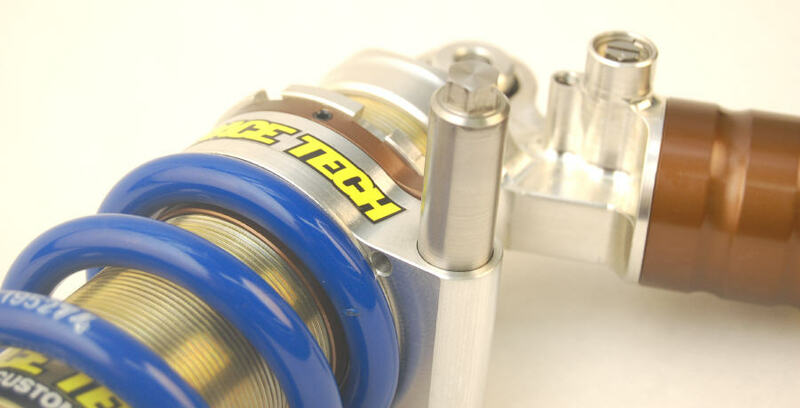 This Custom Valves your shocks according to your riding style, ability and weight. In many vintage applications the stock valving stack is grossly inadequate. Your shock is converted to the latest modern style valving. This setup can be changed any time to meet your riding demands. After the Shock Gold Valve is installed we reassemble your shock with Ultra Slick Suspension Fluid, set the nitrogen pressure, set the adjusters and install the proper rate RT HP Shock Spring. * Gold Valve Shock Conversions can also be done by Race Tech Centers, you, or your dealer. You'll need to order the Gold Valve, Spring and rebuild parts separately. Click here for the Product Search to find the correct parts for your model. 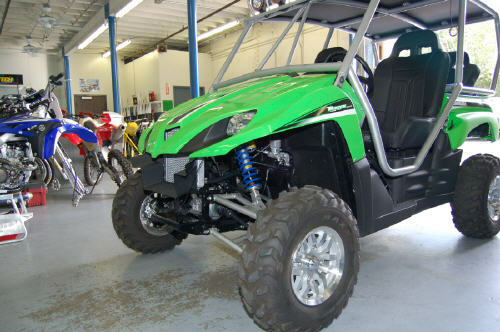 We have most OEM replacement parts in stock and can accommodate special requests. We Guarantee you love it! Call for Pricing 951-279-6655 ask for sales! The second option, which will be avialable in the future for the TERYX, is to replace the stock shocks with our G3-S Custom Series Shocks. 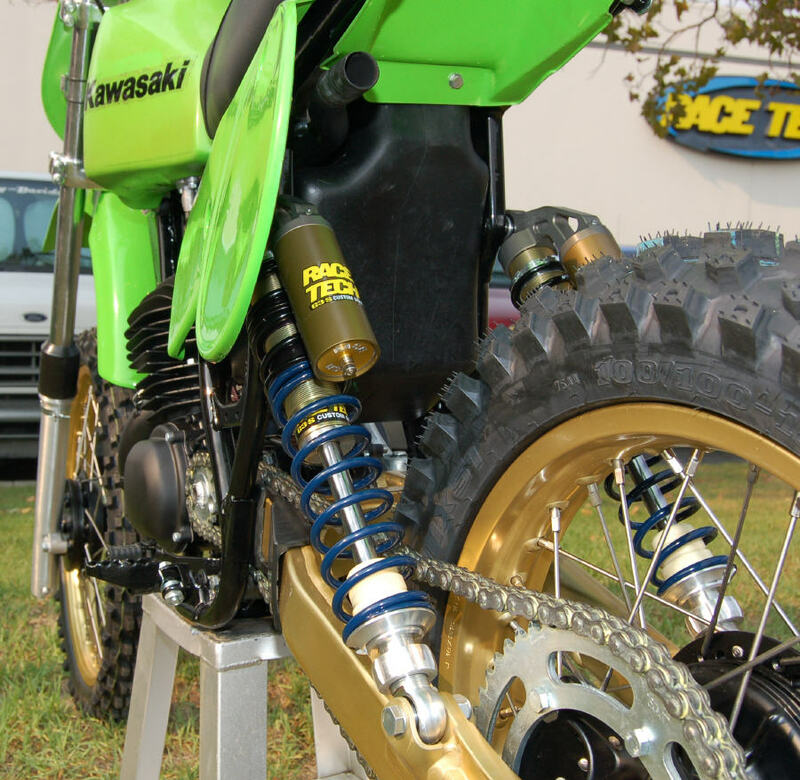 Race Tech Shocks are manufactured from the finest materials available. They are custom built to your exact specifications to provide you with a superior quality suspension component designed for high performance riding and excellent durability. 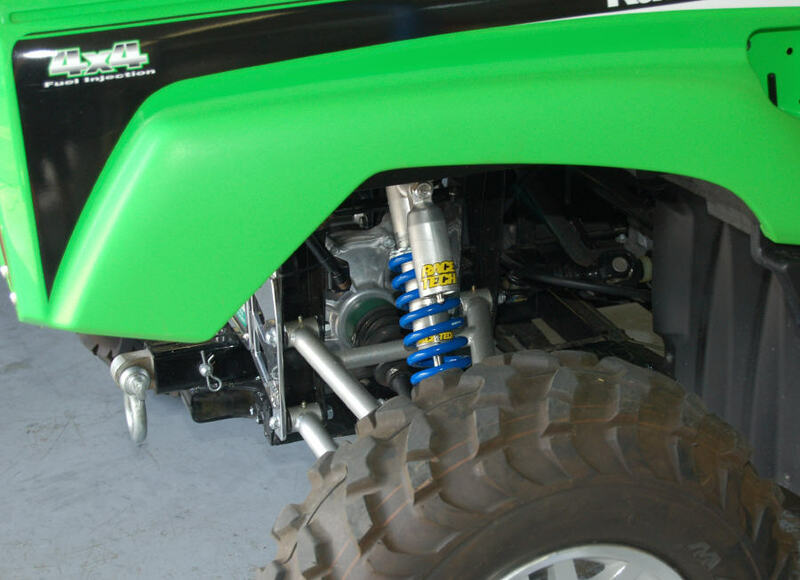 All shocks are assembled by hand and valving and spring rates are selected dependent on your individual needs (UTV setup, weight, riding type, and skill level). 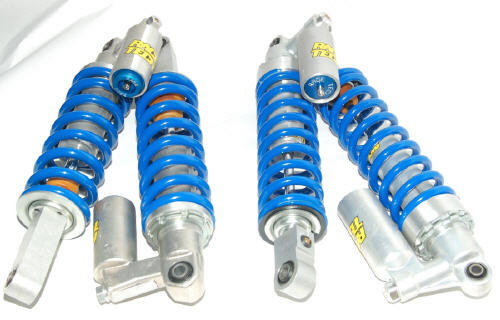 G3-S Custom Series shocks feature large 16mm diameter shafts, 46mm bodies Gold Valves, RT High-Performance chrome silicone springs and high precision stainless steel spherical bearings. G3-S are available in Non-Reservoir or Piggyback Reservoir versions. Optional features include, externally adjustable Hi-Low Speed Compression damping, Rebound and Spring Preload. The same quality components are used on all Race Tech Front Shocks whether they are standard or even our lower priced non-reservoir units. Because of this you can be assured of a high quality component that can be updated or changed based on increased rider weight and skill level.